Akron, OH (Friday, September 14, 2018) – The Jewish Community Board of Akron (JCBA) is pleased to announce that Todd Polikoff will become its next Chief Executive Officer (CEO). The Board of Directors of the JCBA has unanimously approved the recommendation of Polikoff by the Search Committee of the organization. Polikoff will take over the role before the end of the calendar year. Polikoff will succeed David Koch who leaves his post in December after 11 years with the organization. During his tenure, he helped guide the JCBA through several challenges including paying down a multi-million debt while overseeing major capital expenditures to help build a solid, financially stable organization. Koch along with Dianne Newman, Jewish Family Service (JFS) board president, led the JFS through a strategic realignment while managing changes in agency leadership, in addition to establishing innovative programs like the J-Ticket to engage young Jewish families and seniors. “David has led JCBA with a steady hand, and we are thankful for his dedication and many accomplishments during his 11 years with us. He will be missed,” noted Minc. Polikoff comes to JCBA from Jewish Nevada, where he has held the position of president and CEO for the last three years. In his role, he oversaw the annual fundraising of $2.6 million and granted $3.4 million to 70 different organizations, in addition to increasing endowment fund assets and Women’s Philanthropy Division giving. During his tenure, he led the successful rebranding efforts of the entire organization from Jewish Federation of Las Vegas to Jewish Nevada resulting in new donors and volunteers across the state. He also helped improve operational efficiencies by introducing new standards and metrics to achieve the greatest impact in the community. Prior to Jewish Nevada, Polikoff worked at the Jewish Community Federation of Cleveland where he served as director of donor stewardship. 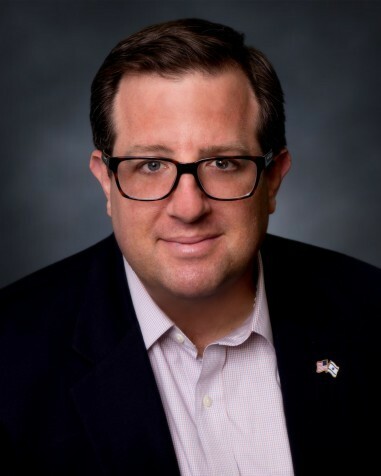 Before moving to work at the Cleveland Federation, he worked as a director with the American Israel Public Affairs Committee in Houston and Las Vegas and as campaign director for the Jewish Federation of Delaware. Polikoff received a Bachelor of Science from Stockton University and Master of Business Administration from the Monte Ahuja College of Business at Cleveland State University. He currently participates in the Leading Edge CEO Onboarding Cohort II, the first-ever national CEO onboarding program designed for high-level organizational leaders in the American Jewish community. He has three children. “We are tremendously pleased that Todd will be bringing his proven leadership and strategic experience to Akron. His understanding of the critical needs and challenges within the Jewish community will allow us to continue our crucial work as part of Reimagine Jewish Akron and our vision for the future,” said Minc.